The “All-Star Jam” at Loyola University New Orleans Feb. 28 will bring together some of New Orleans’ most innovative jazz artists in celebration of the historic jam session tradition. The event will take place at 7:30 p.m. in Satchmo’s in the Danna Student Center and will feature guitarist Steve Masakowski, drummer Johnny Vidacovich, bassist Roland Guerin, pianist Mike Esneault and saxophonist Tony Dagradi. Popularized in the New York jazz scene of the 1940s and early 1950s, jam sessions serve as prolific meeting places for both established and novice musicians in which soloists try to keep up with the house band and outdo each other in improvisational skill. Regarded as one of the top jazz artists from New Orleans, Masakowski has released numerous CDs, including two on the prestigious Blue Note Records label. He is a member and composer of the award-winning, cutting-edge jazz quartet Astral Project. Vidacovich combines elements of New Orleans' traditional rhythms with free techniques and mainstream sensibilities. His command of dynamics, distinctive melodic accents and effervescent swing has brought him international recognition as the quintessential modern New Orleans drummer. 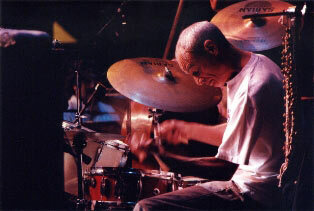 Guerin emerged in the forefront of the international jazz arena for providing unique and melodic bass lines and dazzling audiences worldwide with his slap-bass technique. In addition to leading six recordings of his own, he has appeared on more than 80 albums worldwide. An Emmy Award-winning composer, Esneault has performed or recorded with artists such as Wynton Marsalis, Terence Blanchard, Nicholas Payton, Frank Morgan, Brian Blade and many others. He has established a prolific career working in television, motion pictures, radio, live concerts and recordings. Dagradi, also well-known for his work with Astral Project, is an internationally recognized performer, composer, author and educator. A New Orleans resident for more than three decades, Dagradi often performs on tenor and soprano sax with many of the Crescent City’s most talented musicians.